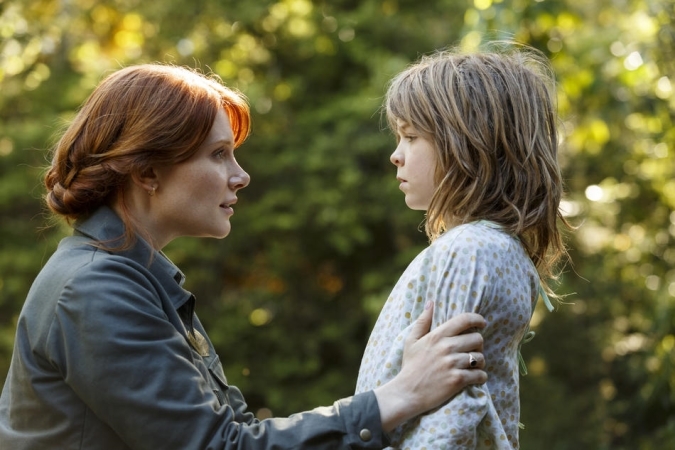 Bryce Dallas Howard as Grace Meacham, a forest ranger. Oakes Fegley as Pete, a young orphan who lives in the forest and whose only friend and protector is Elliott the Dragon. Wes Bentley as Jack, a lumber mill owner and Natalie's father. Karl Urban as Gavin, a hunter, Jack's brother and Natalie's uncle. Oona Laurence as Natalie, Jack's daughter and Gavin's niece. Robert Redford as Mr. Meacham, Grace's father. 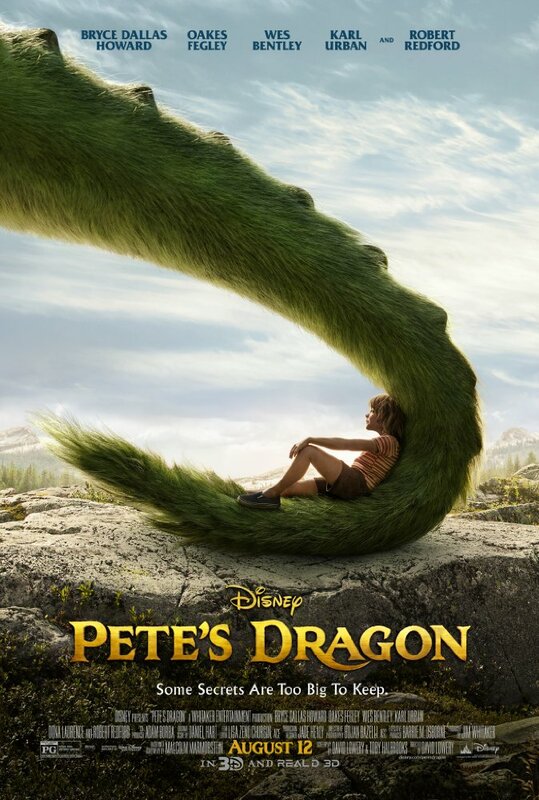 Pete's Dragon which is a remake of the 1977 classic Disney film gets a major upgrade as far as its dragon at least. While I did not watch the original film, from what I have read, gone are the musical numbers, pinkish wings and hair on the dragon and as well many other tweaks to the original plot. We still have a boy befriending a dragon, boy meeting a girl, and town folk out to get titled dragon named Elliott. Pete's Dragon is the perfect PG rated summer film for the family especially those with younger children. Aside from the brief car accident in the beginning, caused by Bambi no less as a revenge for his mom, the movie is really lacking in suspense and action that would otherwise get your blood pumping. Not that the film is a bore fest, as we do get a conflict between Gavin (Karl Urban), a hunter and construction site foreman and his men and Elliott. Overall, I would highly recommend the film if you like lighthearted films with happy endings. The film at times seems to borrow from a lot of other films, like Tarzan as a big example. Oakes Fegley as Pete is incredible. Karl Urban as not necessarily a villain but antagonist takes some getting use to, which I couldn't. The CGI for Elliott the dragon is an interesting take, soften in its looks to be more kid friendly I suppose. Out today, take your family of young kids, but skip it if you don't have kids, as the film is just not geared towards you. Wait for it on the Disney channel if you're in the latter group.